Head injuries are one of the most common causes of disability and death in adults. 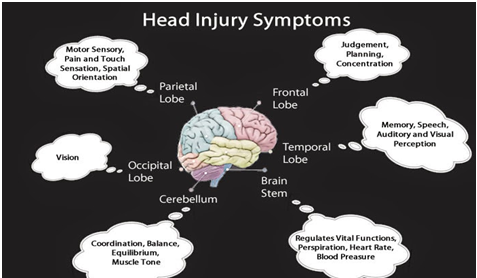 Injuries to your brain, skull, or scalp are all types of head injury. It may be mild or severe depending on what caused it. Some injuries produce bleeding within your skull. Others cause damage on the outside of your head. These injuries may be in the form of lacerations, bumps or bruises. Seat belts and airbags. Always wear a seat belt in a motor vehicle. Helmets. Wear a helmet while riding a bicycle, skateboard, motorcycle, snowmobile or all-terrain vehicle. Put a nonslip mat in the bathtub or shower. Install handrails on both sides of staircases. Improve lighting in the home. Keep stairs and floors clear of clutter. Install safety gates at the top of a stairway. Keep stairs clear of clutter. Install window guards to prevent falls. Use playgrounds that have shock-absorbing materials on the ground. Don't let children play on fire escapes or balconies. Open Injury: An open injury is any damage that penetrates the skull. The damage may cause bleeding within the brain's tissues. It may also produce skull fractures or cause the skull bones to press into your brain tissue. Concussion: A concussion occurs when your brain is shaken. It may lead to loss of consciousness and headache. Scalp Wounds: Your scalp is the skin that covers and protects your skull. Injuries to the scalp may lead to bleeding or tissue damage. What are common causes of Head Injury? 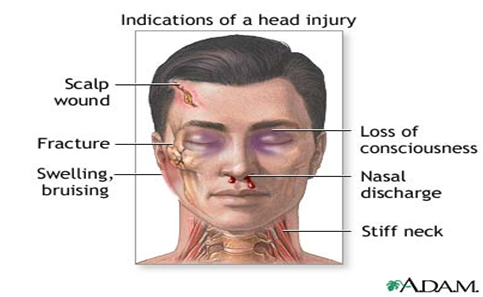 What are the Signs & Symptoms of a Head Injury? Don't drive home from the hospital. Ask someone to give you a lift or catch a taxi. Rest quietly for the day. Use icepacks over any swollen or painful area. Take simple painkillers such as paracetamol for any headache. Check the packet for the right dose. Arrange for someone to stay with you for the next 24 hours, in case you need help. Don't eat or drink for the first six to 12 hours, unless advised otherwise by the doctor. Once you can eat again, have small amounts of light food and drink in moderation. Don't take sedatives or other drugs unless instructed by your doctor. This 15-point test helps a doctor or other emergency medical personnel assess the initial severity of a brain injury by checking a person's ability to follow directions and move their eyes and limbs. The coherence of speech also provides important clues. Computed tomography scan (CT or CAT scan.) - a diagnostic imaging procedure that uses a combination of x-rays and computer technology to produce cross-sectional images (often called slices), both horizontally and vertically, of the body. A CT scan shows detailed images of any part of the body, including the bones, muscles, fat, and organs. CT scans are more detailed than general x-rays. 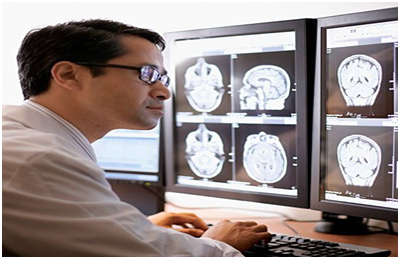 Magnetic resonance imaging (MRI) - a diagnostic procedure that uses a combination of large magnets, radio frequencies, and a computer to produce detailed images of organs and structures within the body. Children are allowed to sleep, but should be woken every four hours to check their condition and gauge their reaction to familiar things. Neuropsychologist, who assesses cognitive impairment and performance, helps the person manage behaviors or learn coping strategies, and provides psychotherapy as needed for emotional and psychological well-being. Vocational counselor, who assesses the ability to return to work and appropriate vocational opportunities and who provides resources for addressing common challenges in the workplace. The extent of the person's recovery depends upon the type of brain injury and other medical problems that may be present. It is important to focus on maximizing the person's capabilities at home and in the community. Positive reinforcement will encourage the patient to strengthen his/her self-esteem and promote independence. Approximately half of severely head-injured patients will need surgery to remove or repair hematomas (ruptured blood vessels) or contusions (bruised brain tissue). Problem with behavior or mental health (depression, anxiety, personality changes, aggression, acting out, and social inappropriateness). Vegetative state: in which an individual is unconscious and unaware of his or her surroundings, but continues to have a sleep-wake cycle and periods of alertness. Persistent vegetative state: in which an individual stays in a vegetative state for more than a month. Following a brain injury, individuals who exercise are typically less depressed and report better quality of life than those who do not exercise. The key is to determine what type of exercise is best for you and to follow a program that accommodates your individual needs and concerns. If limitations prevent the return to pre-injury activities, a physical therapist can help the patient improve mobility and master the use of equipment such as an ankle brace, a walker, or a wheelchair. A return to sports and fitness activities. The goals of your program should be to improve cardiovascular fitness, increase muscle strength and endurance, improve range of motion, and increase independence, mobility and ability to do daily activities. 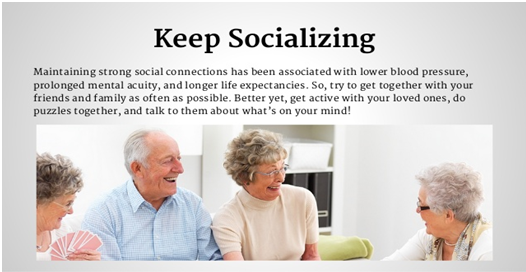 You may need to do some exercises such as biking or walking with a workout buddy if you have difficulty with balance or with finding your way throughout a community. Choose low-impact activities such as walking, cycling or water exercises, which involve large muscles groups and may be done continuously. Start slowly and gradually progress the intensity and duration of your workouts. If your fitness level is low, start with shorter sessions (10 to 15 minutes) and gradually build up to 20 to 60 minutes, three to five days per week. Perform resistance training and range-of-motion exercises two days per week. Take frequent breaks during activity if needed. Avoid exercises that overload your joints or increase your risk of falling. Begin each exercise in a stable position and monitor your response before proceeding. Reduced motor control in your limbs may restrict your ability to do certain exercises. 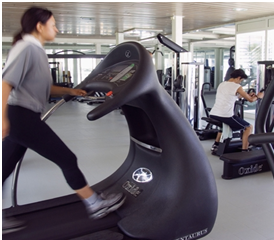 Exercise equipment may need to be modified to accommodate your specific needs. Do not hesitate to ask for demonstrations or further explanations about how to perform exercises properly. Consider contacting a certified health and fitness professional who can work with you and your health care provider to establish realistic goals and design a safe and effective program that addresses your specific needs. Always seek medical attention for a head injury. 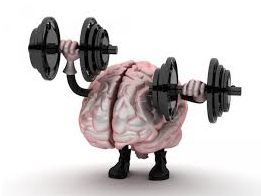 There is no specific treatment for mild head injury other than plenty of rest and not overdoing things. It can take some time for the brain to recover from a head injury and during this time, headaches, dizziness and mild cognitive (thought) problems are common. Don't go to work or school, or resume sporting activity until you have fully recovered. A person recovering from traumatic brain injury (TBI) will require close monitoring of their nutritional status in the acute and rehabilitation phase of their injury. If a person's oral intake is poor, then they will need to be supplemented with liquid formulas or to explore food habits and preferences to encourage a person to eat through consistency of food and planning a balanced diet. The speech therapist will be able to determine the appropriate modified consistency of food (i.e. blended, soft and moist or easy chew) and fluids (i.e. pudding, honey, nectar or thin) of a person Planning a balanced diet is important to allow adequate nutrition for the recovery in a person with TBI. The table below will be a guide to choosing and planning meals from the four major food groups. Post-surgery, many patients experience poor appetite.To boost your appetite, consume small portions of food about 7-9 snacks/meals throughout the day.Nausea is another common complaint that could be caused due to medications. Take the prescribed medicines on full stomach. Consult your doctor if nausea persists. 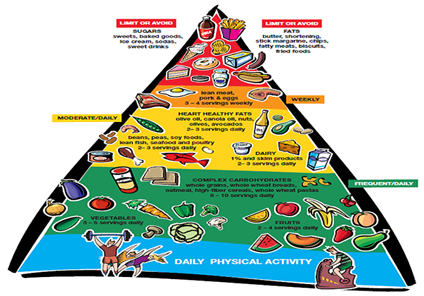 Maintain a balanced diet and perform regular physical activity. Eat foods that are low in saturated fats and cholesterol. If overweight or obese, loose the extra kilos and maintain a healthy weight. Quit smoking and cut down on alcohol. Check your blood pressure and blood glucose regularly. Who is legally entitled to make medical decisions for the injured person? Did the injury occur due to some wrongful situation? What are the circumstances of the injury? Did the injury occur while on the job? Will this injury require long-term care or planning? What types of insurance provisions are available to the injured person? Does the person have an advanced medical directive or will?